I enjoy working in many different digital mediums, and motion graphics with video is something I’ve recently started doing more of. Without having to worry about file size or processing power as we do with digital ads, video has much more potential for envoking an emotional response. I modeled and animated 11 of the birds featured in this project over the course of about 2 months (the Pelican and Eagle were stock models I rigged, all others I built from scratch). Each bird took me about a week to research, model and texture in Maya, and then animate short, seamless loops for each bird. The seamless loop allowed the birds to go from an idle action, either standing or gliding in the air, to one of several other motions, such as flapping wings or preening feathers, while maintaining a low file size – critical in online banner work. And each bird had it's own specific movements and idiosyncracies that needed to be reflected in the animations. At launch, people really went nuts for this campaign – I didn't realize there were so many budding ornithologists on the interwebs! 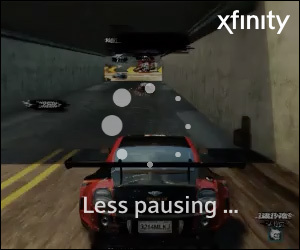 These very short YouTube bumpers were based on interactions with the loading symbol we all see on digital devices, symbolizing that Xfinity Internet is so fast that it’s destroying the loading animation in multiple ways. These ran right before a user’s selected video on YouTube. With the help of GSP producer Patrick Wong, I filmed an actor over greenscreen, then keyed the footage and added the other visual effects using Maya, AfterFX, and Nuke. I also animated the Ookla Speedtest flag that drops from the upper left, using cloth simulation in Maya. 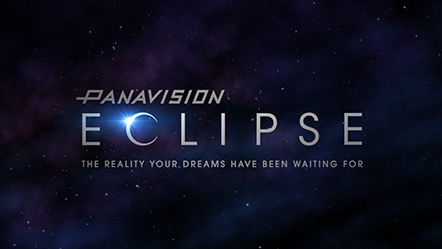 This quick branding piece was a teaser for a new video camera by Panavision. I storyboarded the overall idea based on discussions with Firehouse One. I then created the video in AfterFX, while Firehouse One supplied art direction and a custom music track that put the final touch on this identity. Note how the light of the background stars is “bent” by the gravity of the eclipsing bodies. This video production was ultimately shown in rich media banners, but it belongs here as well. Legendary producer Teymoor Ghashghai gave me a big task with a lot of creative freedom: Create a WW1 dogfight battle between two planes, where they ultimately fly out of a phone screen, revealing that we've been watching the battle on an Evo, the first 4G phone. I got right to work on storyboarding each scene for cinematic appeal. I created all the environment and animated some stock WW1 3d models, later adding in explosions, clouds, and bullet tracers. One tough constraint was that the entire banner could only be 15 seconds long. In the end it was an amazing opportunity to be a part of. I only wish we could have added a soundtrack. My task on this project was to bring a flat illustrator file to life with animation and sound. 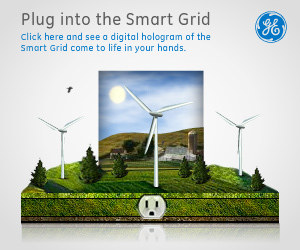 It tells the story of Costa Ricans obtaining clean electricity from wind turbines. The videos have a specific style, and I was to mirror that style in this animation. I was responsible for animating everything, as well as sourcing sound effects and selecting/editing appropriate music. Created in AfterFX, it was a fun project and I’m very happy with how it turned out! At Cisco’s headquarters in San Jose, they have a touch screen connected to a Mac mini, to show interactive presentations. I animated this one, and I used standard HTML coding and animation to add interactivity – including sound effects for the buttons, background music, and more. For best results (like correct text rendering), please view using Chrome browser, and only on a desktop or laptop. Not recommended for phones or tablets due to bandwidth of the video. 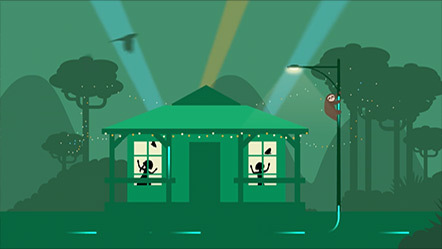 This holiday e-card, created for Nintendo through We The Collective, was a fun animation project. 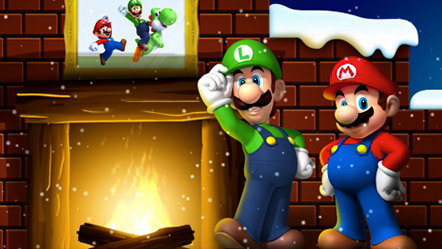 My tasks included compositing all of the characters, and animating Mario’s path as he hops along the note blocks and up and over the final obstacle, landing in a snow flurry that reveals the holiday messaging. I animated all of the snow, text effects, and the environment that Mario runs in. 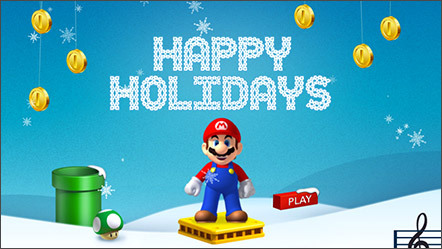 Another holiday e-card for Nintendo, with this one running at a more leisurely pace. Once again I animated all of the snow, text effects, fire and the parallax environment that the camera travels through. This project consisted of taking a single photograph of a mountain and animating skiers bombing down the slopes in a realistic fashion. I was provided the photo and frame artwork, along with the ski paths drawn in by the art director. I knew that a simple Flash animation wouldn’t cut it as far as realism goes. So in Autodesk Maya I created 3d characters with skis and poles, and roughly approximated the shape of mountain with another model. I then keyframed each skier’s path down the mountain so that they matched the paths already present. 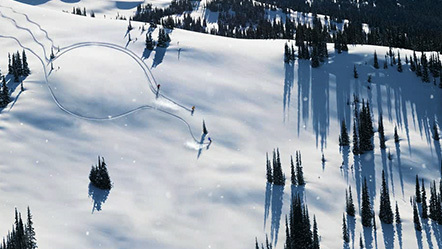 Then in AfterFX I composited everything together, and added the snow spray from the skiers as they turned on the mountain. The foreground snow is actually done in Flash, and overlays the video. This was an personal project to see if I could replace the sky behind the hotel with another mountain range, in a realistic fashion. The video was shot on a Sony A7R2, hand-held. 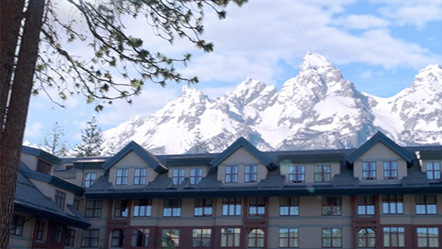 I used Nuke and Photoshop to rotoscope out the background sky and replace it with the Grand Tetons. @2017 Matt Hoover Design, Inc. All rights reserved. 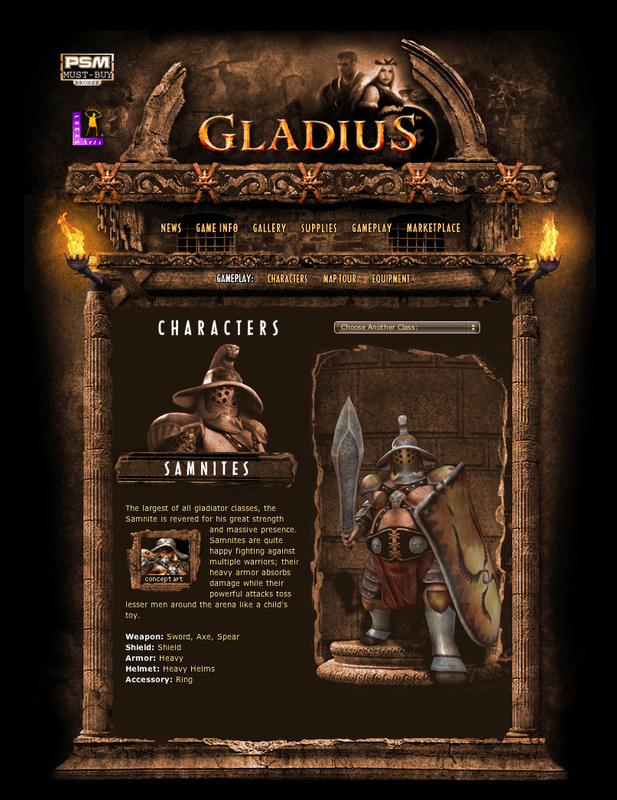 Before I ever worked on banners or rich media, I created a number of fully-Flash web sites back in the early 2000’s for companies like LucasArts and Ubisoft. In each of these shown below, I created all of the artwork for the site in Adobe Illustrator and Photoshop, and later with Maya as well. Often I would get some of the 3d models for the characters, which I would pose, light, and render (or even animate in some cases). And I believe I was the first developer to integrate “idle loops” for video game characters on web sites, which I implemented because I just thought it would be cool to see them move a bit. In the examples below, some are linked to a live version - just click the image to launch the site. I love designing things - digital, virtual, or real. I’ve been a freelance designer and developer for nearly 16 years, and I’ve worked with many talented people from agencies all across the country. From screen to print, I enjoy the process of creating and animating. I’m constantly learning new skills and refining my art. In everything I do, I try to craft an experience that’s worthwhile and fun. I take the same dedicated approach to each and every project I’m on. And I always communicate clearly with the other team members, and try to lead by example. Experience. Passion. Talent. That’s what I bring to the table. Please contact me if you’d like to get a quote, have questions, or just to say hello. During my career, I’ve been fortunate to work with some of the coolest brands on the planet. From hardware to software, from retail to foodstuffs, I’ve worked on campaigns across many types of industries, and with many talented art directors and producers. Every new brand or campaign is a chance to experience something fresh and exciting. I love animating banners and rich media – and the whole process of taking a great concept and bringing it to life. I’ve animated hundreds of campaigns over 16 years, but these I enjoy sharing the most. 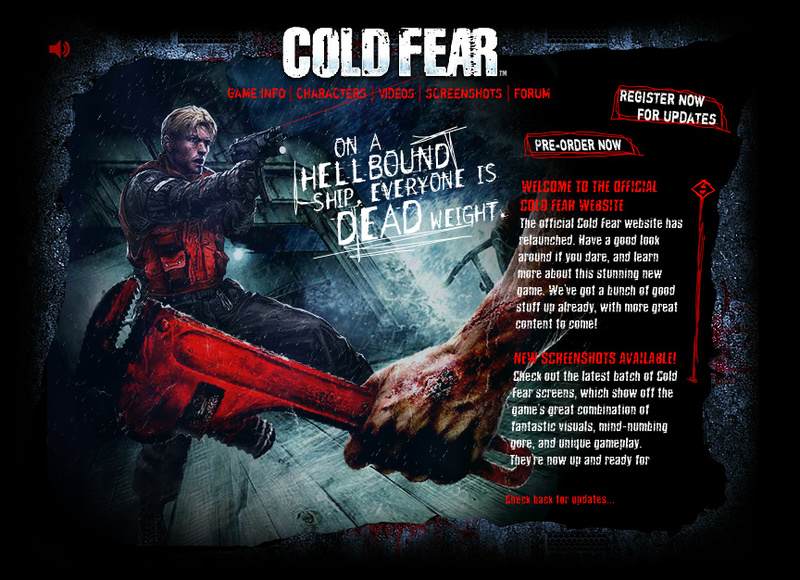 There is a lot of effort involved when going from static concept to final banner, as any developer knows. My careful attention to detail and artistic sense differentiate my work from the mundane. “Standard” banners? These are anything but! 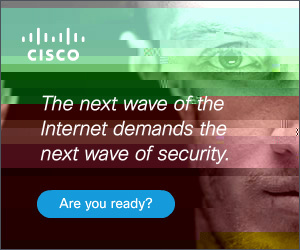 These banners were part of a larger campaign about Cisco’s readiness for new world threats facing businesses. Each required a lot of work and creativity in order to fit into 40k. In “Hacker”, the corruption of the image you see is a real-time effect that randomly alters the actual image data, each time resulting in displaying different patterns and colors. For “Globe” I created a procedural background of stars and nebulous gases, since using a bitmap for the stars wasn't possible. I also used distortion mapping techniques to get the cables representing the oceans to move in a wavelike fashion. On “Competitor” I did an entire scene reconstruction in order to fit such a large, high res image of the girl into the sunflower field. All in all, a tough but very rewarding campaign that I’m very proud of. 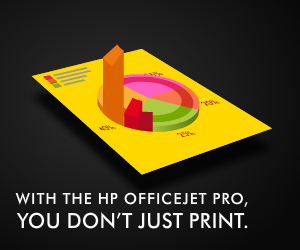 Of all of the HP campaigns I’ve done, this one stands out as a favorite. 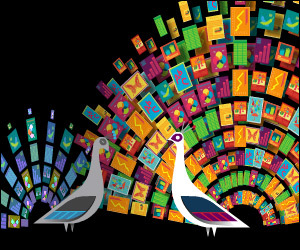 Eye catching and colorful, it has a playful feel to the animation. To start, I created flying papers in 3d that spin and curve around in AfterFX, then traced those as individual frames in Flash, adding the colorful page designs to each one. I then sent those animations on a curving path from one banner to the other, so that they seemed to magically float to their end destination. The total file size had to be less than 100k even though it was rich media. By using vector art and creatively maximizing the number of unique page designs, I was able to accomplish something fantastic! 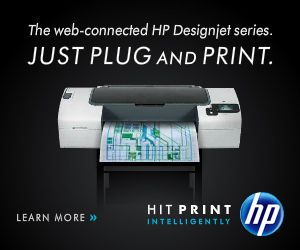 Another favorite from the HP campaigns. At only 30k, I still can’t believe I was able to cram this much colorful goodness into a banner. Again by recreating the flowing lines as vector art, and using bitmaps only for the printer and the page it’s printing (and of course, the HP logo), the file size was met, and the expectations were exceeded. Following in the colorful imagery of the HP campaigns during this time, the “Amplify” concept has taken it’s place in history as one of the most beautiful HP banners ever designed. 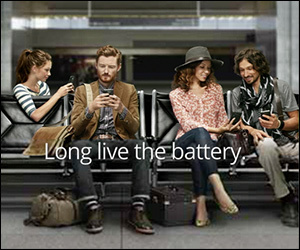 I’m proud to have worked on this campaign with GSP, and the talented art directors there. 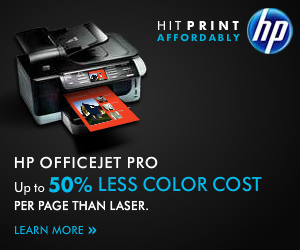 This campaign continues the HP branding style of the time. Recreating every single part as vector art was simply the only method for getting so much color and movement into a 30k banner. Once again, kudos and thanks to the GSP team for allowing me to help bring to life such great concepts. 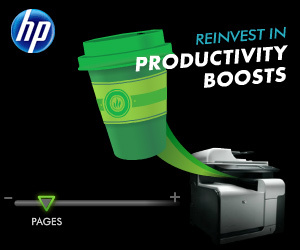 Another great concept in the line of HP Officejet banners, this one features similar techniques as the banners above. Beauty and simplicity in 30k. Vector art, anyone? Yes, please, I say! 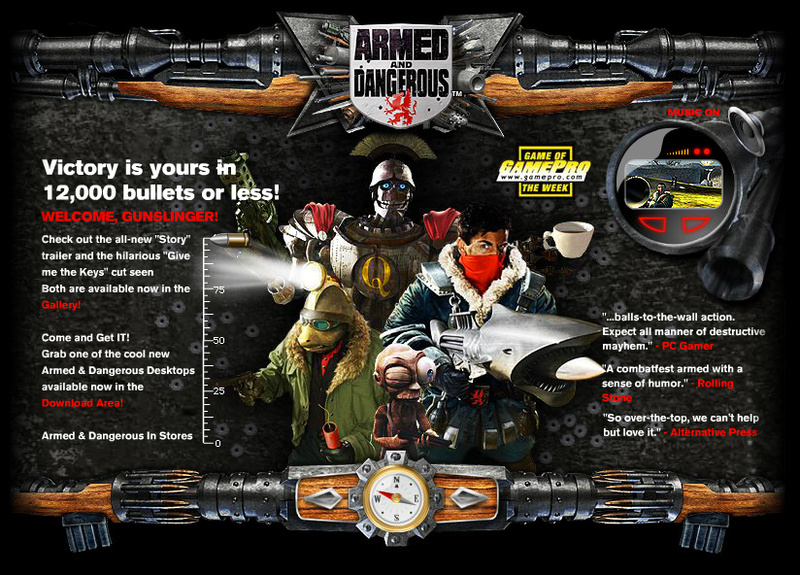 This campaign was perfectly suited to Flash and vector-art animation of the graphic elements. My task was to take each one and make a draw-in "intro". 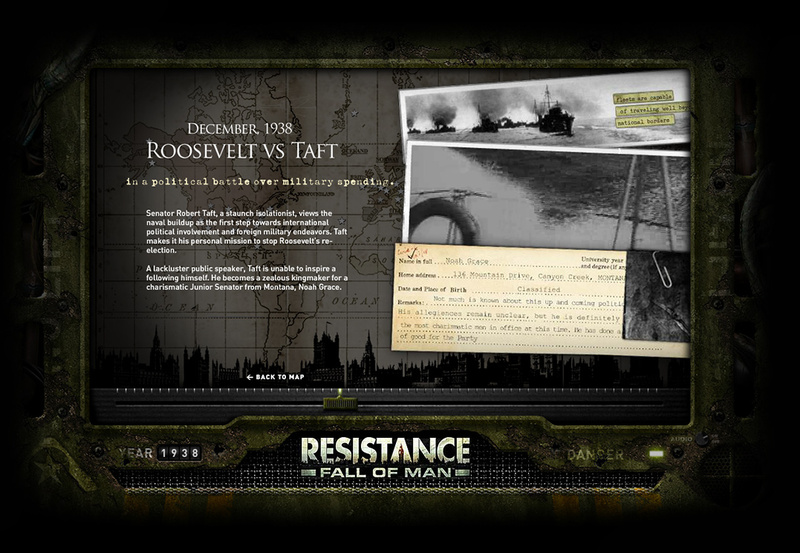 I also had to code in the interactive parts of the slider, as well as create an autoplay demo to entice the user to interact. The results speak for themselves! 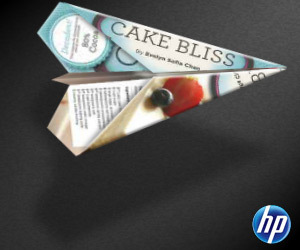 The concept was simple, but the file size was restrictive: Take what’s shown on an iPad screen, and then have it fold into a paper airplane, take off and fly through the air, and finally into one of several printers that were featured as having “air print” functionality. In 40k, what I developed in the end was nothing short of miraculous! I love animating particles - snow, dust, smoke, or in this case, balloons! 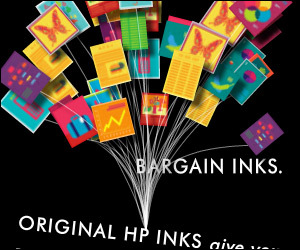 The idea behind these HP Inks concepts (getting more out a cartridge) is shown so elegantly, in my opinion. Very easy to understand, while at the same time beautiful to watch. By creating random movement of each “balloon page”, and using procedurally drawn “strings” to attach them to the copy lines, I was able to make this 30k banner concept look like a million bucks! The sister concept to the "Balloons" version above, this time featuring our lovely peacocks in a battle royale for print capability! Featuring a cool, and unexpected animation with a nice 3d rotation effect on our hero peacock's plume. 30k? You bet. If anything divides people, it’s opinions on politics. 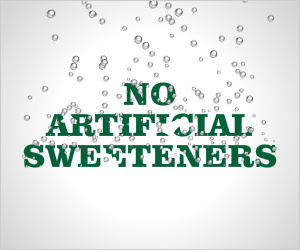 This banner was created as part of a humorous campaign to lighten the atmosphere a bit. 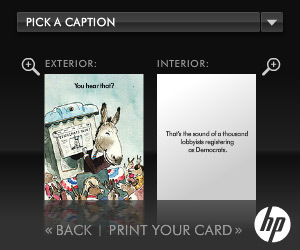 Featuring an interactive card customization, the user can select a card, choose from a range of humorous copy versions, and print it, right from the banner. They could also send the card via email to a friend. Pretty amazing functionality for a little 300x250 banner! 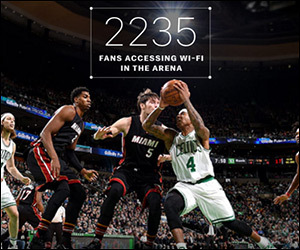 These Xfinity banners feature a small amount of streaming video, even though they are only 200k standard banners. By optimizing the clips, I was able to get several seconds of video to play, which allowed the concept to work as intended. In the end, the banners turned out splendidly! 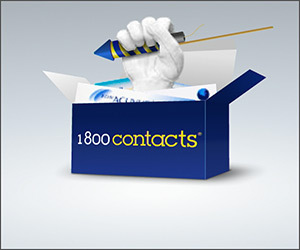 This campaign featured several different animations of the iconic 1-800-Contacts blue box and white-gloved hand, but this one is my favorite. With a 3d-rendered hand, and a box opening/closing animation created from a 3d model, this banner has many cool features that all come together to make a really fun animation. I even designed the “firework” rocket and illustrated it directly in Flash. As a bonus, I get to animate all the particles, which you know I love! This banner owes it's success to an open-source library, specifically one called "boids", which is meant to emulate the flocking behavior of birds and fish. It was a perfect adaptation that I heavily customized for this banner. 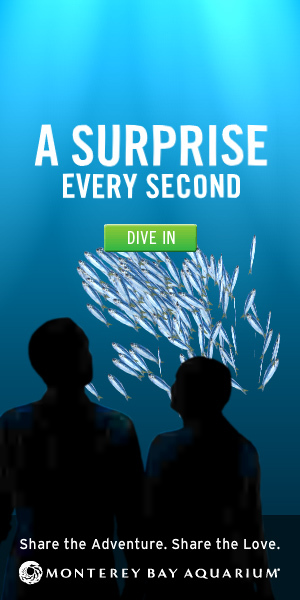 Simply animating the sardines any other way would not produce the realistic result required. Each time the banner runs the sardines choose their own path (within the boundaries of the banner, of course! ), giving the user a different experience each time. Of all of the banners I've created, this one probably took the most code in order to work. Because we only had 40k for the file size, each part of the movement, as well as the "construction" of the tentacles, had to be done in code, requiring a lot of trial and error, tweaking and late nights. 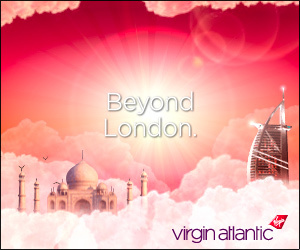 In the end, it was worth it, as this is one of the banner campaigns I'm most proud of from a technical standpoint. I only wish that there wasn't a 15 second time limit! 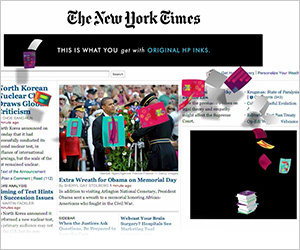 A fun concept in HTML, and much harder to accomplish than in the days of Flash. 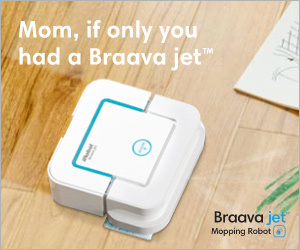 Smooth animation, bitmap animation of the Braava's spray, and colorful end frames all combine into a banner that can run on desktop or mobile with equal ability. These banners were filmed by production company Avocados and Coconuts, and I helped supervise the shoot to make sure we got the parts we needed for the banner. I’m always happy to help at photo and video shoots! The concept behind these banners is that a traditional (older) graphic design technique is replaced by publishing for the iPad, using the skills you already know. After a small amount of editing and visual fx, along with video speed adjustments to slowly ramp up into a "timelapse" effect, these banners came together beautifully. 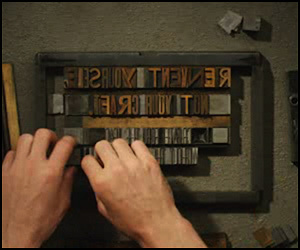 A follow-on campaign featured the letterpress concept in only 40k. 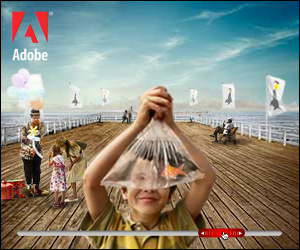 The first in a series of banners I’d do for Adobe’s Creative Suite launches, with the power of Photoshop shown in an interactive way. The clown and mother/daughter were from a custom photo shoot, as were most of the other images. Enough said - try it out! 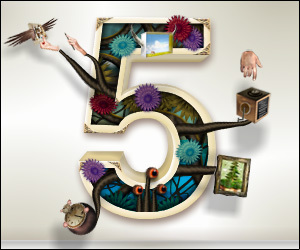 To launch their CS4 suite, GSP tasked me with building out this concept, featuring a video “hand” that interacts with the program icons (called "chickets"). I worked with GSP to brainstorm ideas for each of the hand's movements, that they then shot on greenscreen. I keyed the footage, resized and optimized for Flash, and coded the interactions. I also provided the guitar riff audio from my Fender guitar. A fun concept to work on and view. This banner features some fun interactive physics, as well as a lot of custom vector art design, 3d rendered elements, and video. 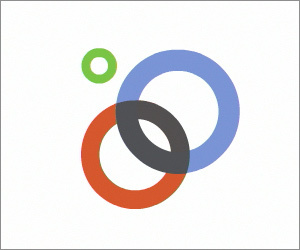 I recreated the "5" symbol as a group of thick vector-art lines that grow and intertwine, creating the final element. Because it was vector I was able to reuse it in another standard 30k banner (linked below). 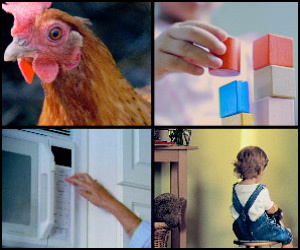 I also designed and rendered the "chicklets" cube that rotates in at the start. It’s amazing to me, even today, that I was able to get this much dynamic animation into a 30k banner. It’s a testament to the power and small file size of the Flash swf format. There is a lot going on here, to be sure. Each of the arms is an inverse-kinematics chain, there are flowers popping out and vines growing, and even the eyes at the bottom follow your mouse movement. Enough said – just take a look! 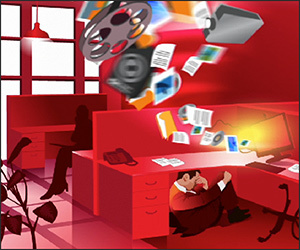 During the Adobe Acrobat 9 launch, we did quite a few vector art animations in this style. I was really proud of the code-driven “tornado” flying above the overwhelmed worker’s desk. Here's another great example of the power of Flash and it's vector art compression - 30k for this in today’s HTML would be near impossible! This banner was done as a concept to see if I could recreate an AfterFX animation in Flash while maintaining all of the blurs and 3d rotations. And I did so, in only 40k! I added my own little flourishes here and there, but overall it's quite faithful to the original. 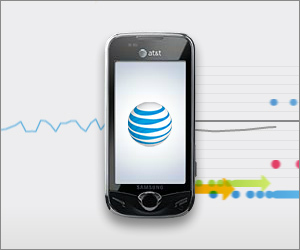 I have done a number of AT&T banners for BBDO New York, and this is one of my favorites because it has all sorts of movement (particles!) 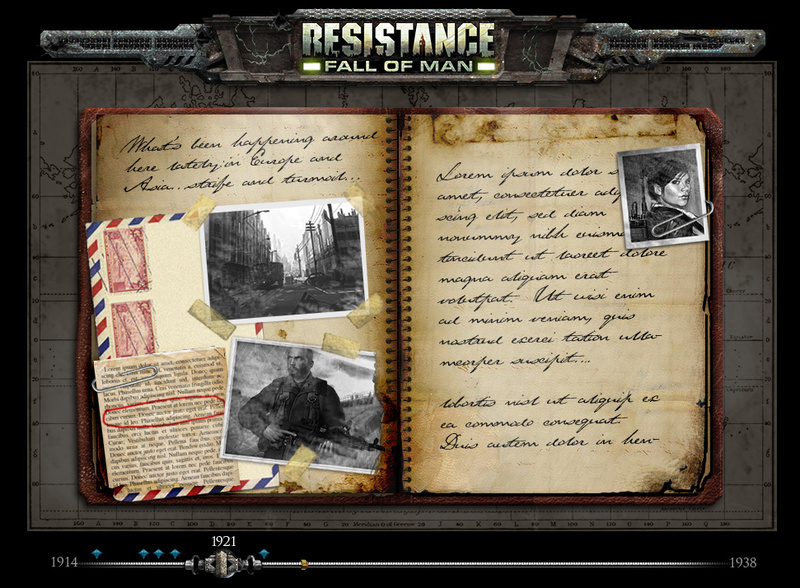 and interesting animations to catch the eye. The waveform sound-spectrum was tough to achieve, as it's all code-driven and randomized to represent voice waveform data, but it turned out quite well. 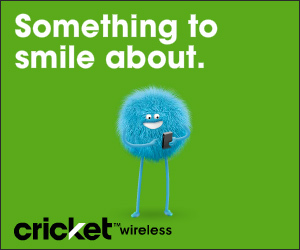 Cricket is near and dear to my heart because I've worked on so many different campaigns, and the characters are cute little creatures that do all sorts of funny things. In this banner, I used my previously developed methods for animating the character’s limbs, mouths, and eyes in a fun, cartoony way that still maintained low file size. While this is rich media, the total file size is only 60k. Making the character move in all of these ways was a great time, and I think that feeling of "fun" shines through. 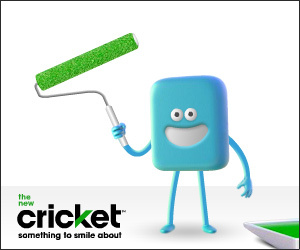 Argonaut brought me in as the first developer to help launch the Cricket brand’s online advertising. And over the course of 14 campaigns, I proceeded to create and refine a method for drawing the characters into 40k banners using vector art in order to maximize the amount of animation we could accomplish. Using bitmaps for anything but the phones was file-size prohibitive. And together we made some fantastic Cricket banners that bring the characters to life with personality and flair. Venables Bell created this fun concept and asked me to make it work as a rich media banner. Since only stills were provided of the boy in various poses, I once again created a "puppet" that could move and do different poses. I also coded the volcano's eruption using bitmap particles, and the prehistoric creatures in the air were rendered in Maya. In Chinese culture, a "Monkey Stick" is a weapon favored by Shaolin Monks. 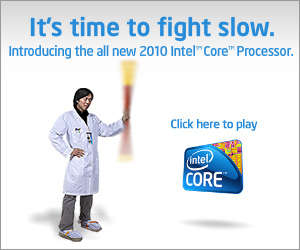 This banner features a Monkey Stick that the user can interactively operate using their mouse to "fight slow computers". With increasing degrees of difficulty, and multiple rounds of game play, this mini-game was fun to code and well-received by the client. Give it a try and see how well you yield the power of the Monkey Stick. Venables Bell approached me with this concept, and I was eager to animate it after I heard the brief. We did a custom photo shoot and I helped art direct the poses that we'd need to capture in order to have enough "coverage" to make puppets for each character. We created a few versions - including one where the engineer flies out the top of the screen while the camera stays on the ref and the athlete, but this version with the rocket shoes is my favorite. These Kayak banners are some of my favorites of all time. The style was designed by the art directors at GSP, and I was able to take those Photoshop concepts and create beautiful vectorized versions of the boards, with animated flipping actions for each of the "squares". I developed a system whereby the copy could be easily changed (including setting margins, line breaks, etc.) so that the copy flowed as the client wanted. I could also adjust the grid size independently, creating more or less flip units to accommodate the messaging. 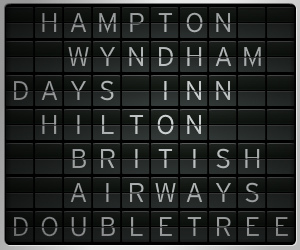 Many versions of these were created, including a rich media version that would poll a few tropical-water locations and then display the destination and the water temperature there. A click would then find flights to that location (in the demo below, for example, Key West is the destination). 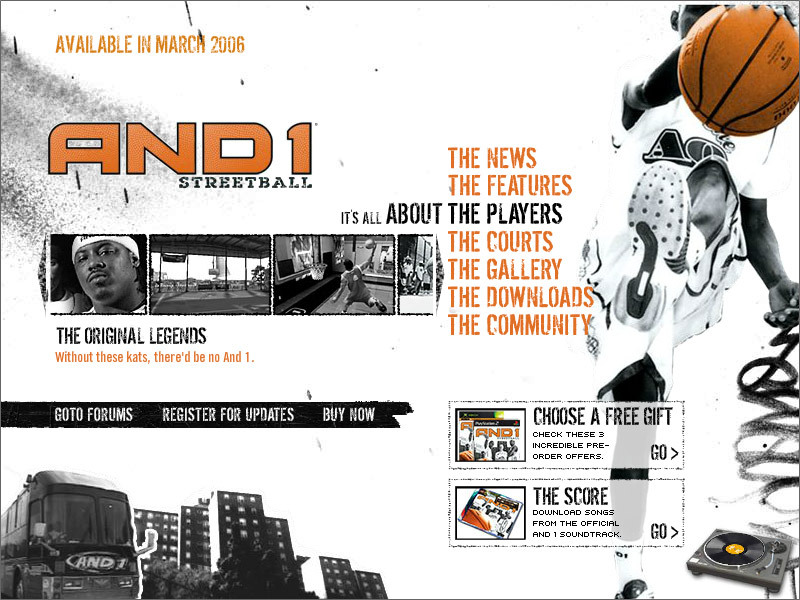 These campaigns for ACI were fun to develop. 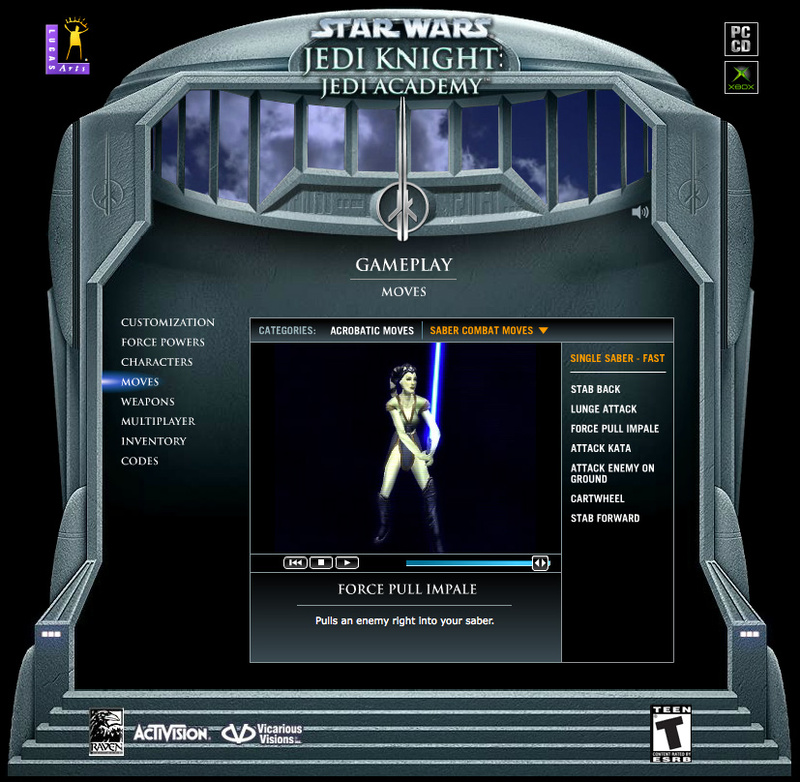 Some had animation interactivity (such as "Blizzard" below), and others were simply "sit and watch" concepts like this “international stocks” version. 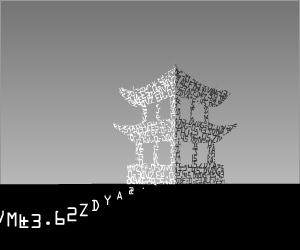 The idea was that the stock quotes fly along and then "form" into various recognizable international landmarks. Nearly all code-driven, it was tough to pull off in only 30k, but I think the results speak for themselves. 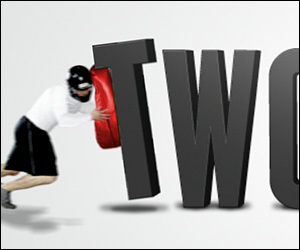 This interactive banner features an open-source physics engine called box2D. It’s powerful but not entirely easy to use. I used it to great effect on this banner, because the realistic bouncing and breaking of the pinata helps sell the entire experience. 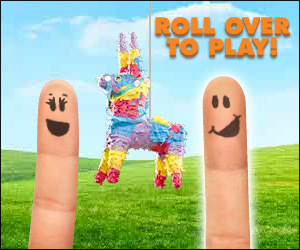 The harder (faster) you hit the pinata, the more the candy flies, and the pinata becomes progressively destroyed. When playing this one, a tip is to move your mouse in smaller motions...less is more! They just don't do banners like this anymore. 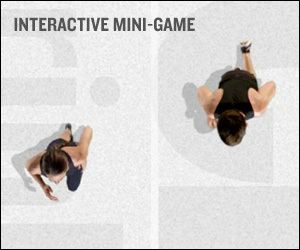 Mini-games are perhaps a thing of the past, but they sure were fun to create. 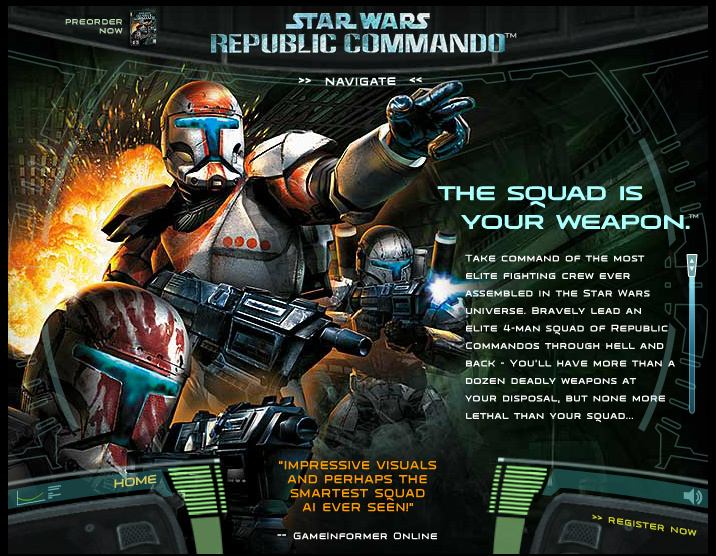 Nearly every piece of these banners is vector art that I designed from a fairly rough concept. I designed the environment (such as the code-driven water and beach waves), as well as each character and their running or swimming animations. Another tough concept to pull off in 30k. But the end result is both beautiful and fun. As I've mentioned several times, I love animating particles. So when this bubble-concept came to my desk, I was more than excited to try to build it! The earlier concept shown below featured the copy lines formed from the bubbles, but this was determined by GSP to be too hard to read. And thus the current concept at left was born, which not only was clearer to read, but animated more smoothly because it had less bubbles moving at once. Which one do you prefer? 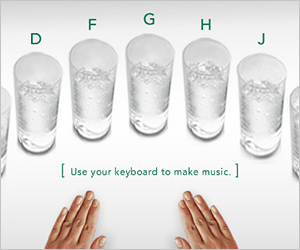 This concept features an interactive synthesizer, using the old "wine glasses filled with various amounts of water" technique to create musical notes at different frequencies. Originally I tried simply recording the audio using wine glasses filled with various amounts of water, which I "tuned" using a guitar tuner. While this worked, I could not keep the sound consistent enough so that it would not have obvious repeats. I later settled on using Logic Pro and a usb keyboard to create the specific notes I needed for the harmonic scale. The easier part was coding everything together and creating the virtual keyboard that the user could play. With more time in the schedule, I would have added a background beat, or a “record and send to a friend” functionality. 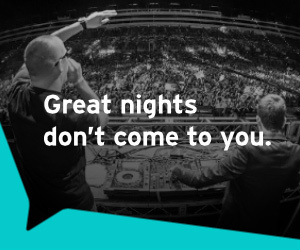 Stubhub banner campaign imagery features all manner of events that look a lot more fun than simply staying home. From concerts to sports events, you can buy (or sell) a ticket to just about anything on their site. Many variations of this animation were created, in various colors. And by using SVG graphics, I was able to morph the Stubhub logo's quote graphic in and out of the frame, while keeping compatibility with mobile devices as well as desktop computers. 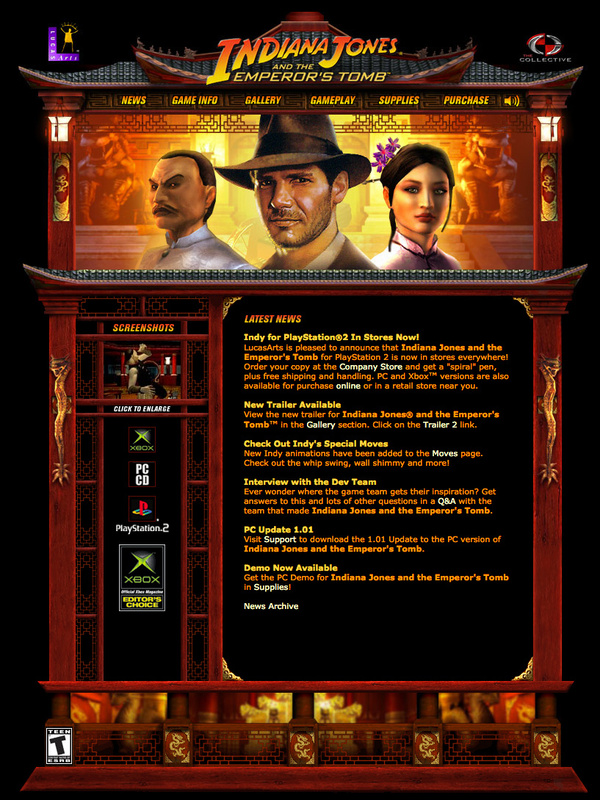 The examples shown here display the general idea of nearly 100 banner variations (and counting). With only 30k available, this banner at first seemed impossible. 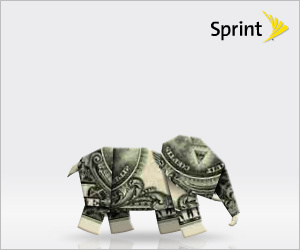 But as I got further into developing and animating the elephant, I realized it was not only possible, but that it would truly "Amaze" the client! I just love watching the little elephant walk along. 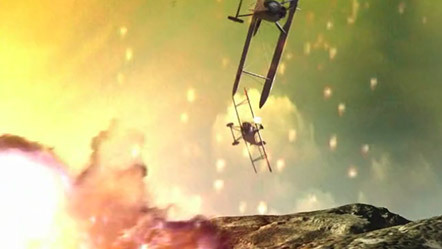 Legendary producer Teymoor Ghashghai gave me a big task with a lot of creative freedom: Create a WW1 dogfight battle between two planes, where they ultimately fly out of a phone screen, revealing that we've been watching the battle on an Evo, the first 4G phone. I got right to work on storyboarding each scene for cinematic appeal. 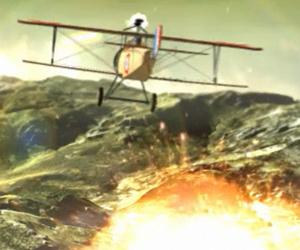 I created all the environment and animated some stock WW1 3d models, later adding in explosions, clouds, and bullet tracers. 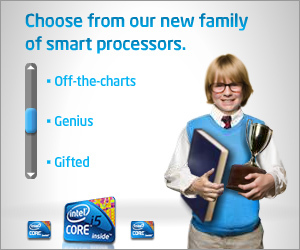 One constraint was that the entire banner could only be 15 seconds long. In the end it was an amazing opportunity to be a part of. 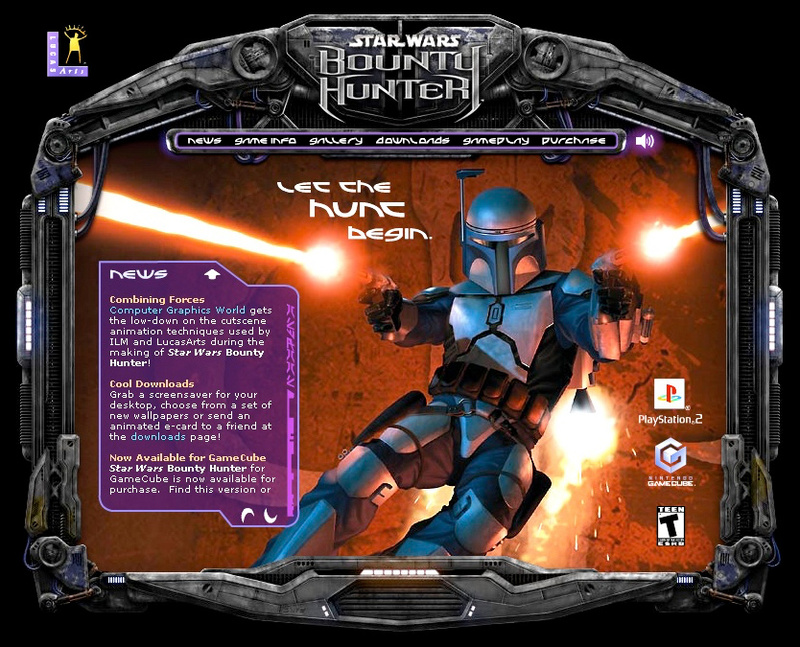 I only wish we could have added a soundtrack. 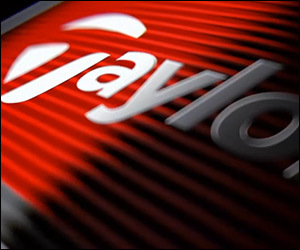 I love TaylorMade products, so when I was asked to build the banners for their R15 driver launch, I was more than excited. Even though this banner is only 40k, it has great image quality and animation, and a cool rollover animation for the user to discover. 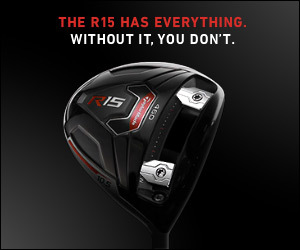 I still can't hit my R15 driver reliably, however! 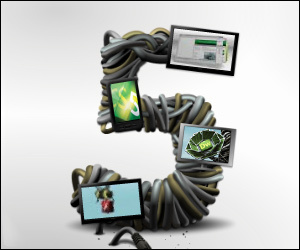 The expandable version of the R15 banner, this one featured an awesome streaming video provided by Zambezi. I combined that with my previous animation style developed for the standard banners, and the end result is something greater than the sum of it's parts. 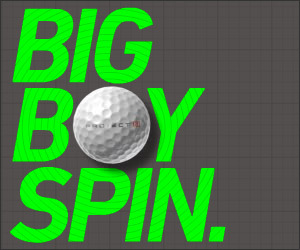 This rich media banner seems relatively simple, but the devil is in the details - we went through several rounds of tweaks to get the ball’s backspin to be as realistic as possible. I had the 3d ball model, provided in an engineering format, which I exported and animated in Maya. I then used that video clip in Flash to tie everything together. 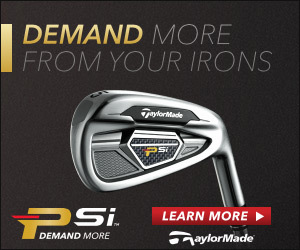 As mentioned previously, I'm a TaylorMade fan, so when the PSi irons launch was given to me to animate, I knew I had to pull out the stops. Using their amazing photography, I was able to add sheens and reflections on the clubs and the headlines, to give a very polished look. And it looks great not only on the desktop, but on mobile too, thanks to high-res images and svg graphics that look sharp on any device. 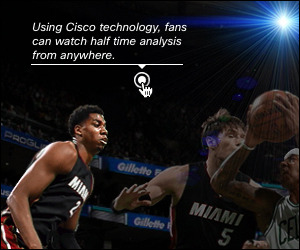 This Cisco ad, once expanded, features a cool perspective shift effect to give a little life to the players and background. The NBA mandated that the players could not “move” as characters, so I developed this alternative as a subtle enhancement. Try it out and see! 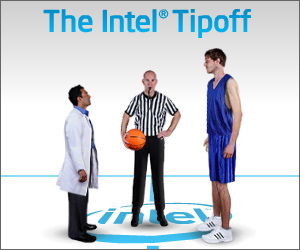 A relatively simple concept, this Cisco ad features the NBA as part of their larger campaign for networking prowess. 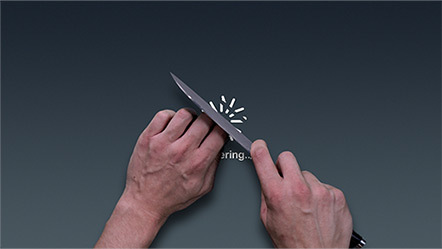 Cisco is arguably the largest name in networking, and this banner was developed to perform exactly the same on desktop or mobile devices, with smooth animations and retina (high) resolution images and SVG graphics. I also created a custom subset of the brand font for the counter animations (which contained only numbers 0-9), since using an entire font would be file size prohibitive. 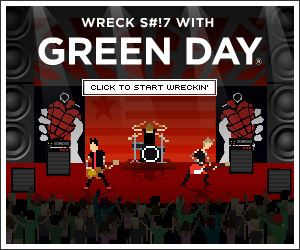 Years ago a Yahoo Music campaign featured “Minipops” - pixel-art pop music stars that would dance and sing in banners. I got to work on artists like Greenday, Pharrell, and Missy Elliot. Animating these little characters was a lot of fun – especially since we could throw in the audio track! Another of the “Minipops” banners, as above. I animated each of the lovely dancing ladies. On the one side, they act dreamy and entranced by Pharrell’s love ballad. Then when the fader goes to the rap side, they start doing all sorts of booty-shakin’ moves! 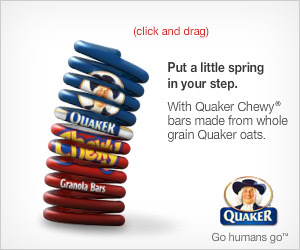 The Quaker Spring banner required a lot of thought and planning in order to pull off the animation and interactivity in 40k. In creating this banner I discovered how to make a spring made up of 30+ individual bitmaps to not only expand and contract, but also bend side to side, whether following a user’s mouse or some hidden target. In the end, what seems like a simple banner is an exercise in creative problem solving and coding. The resulting code was also useful in a follow-on concept, shown below, where the spring compresses and then “explodes”. Similar concept: 300x250 "Spring Explode"
This rich media unit was a fun exercise in large bitmaps and 3d-depth, not to mention streaming video with custom controls. I had to do a lot of retouching in Photoshop, as well as recreating the scene in Flash with repeating elements (like the black seats) that simply could not be brought in full size due to file size constraints. Thus there is a lot of behind-the-scenes tricks and illusions to make this one work, as we only had 100k total (not counting the video). 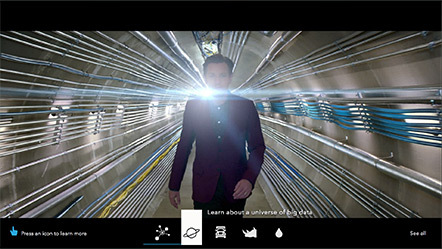 The banner is similar to the concept above, with 3d scenes where the camera travels around, stopping on the various phone users and describing them with text. But the real fun is on the end frame, where I surprised everyone by creating a pseudo-3d rotation of the phone that the user could control with their mouse. Check it out! For this unit, we did a custom photo / video shoot with fitness models. Each model was filmed from above on a green-colored treadmill. I then keyed the actors out of the background and created loops for each one at different speeds (walking vs. running). The rest was code and keyframed animation in Flash to tie it all together. 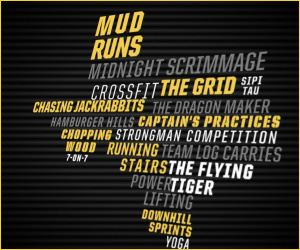 And yes, you can get any place in the race, from 1st to 4th – with a custom message for each place about how Muscle Milk would make you faster! At the same photo shoot for the rich media game above, we also shot still of a football player hitting a bag, in various poses. Because this unit did not have streaming video, I made the character into a puppet crafted from the still photos, and animated him running into the letters and pushing them off-screen. No video here at all! As in the banner above, I created puppets from still photos for each of these animations. Each joint is cut from the body, saved out of Photoshop as it’s own image, and then reconstructed in Flash to be a person running, biking, or doing a baseball slide into home base! 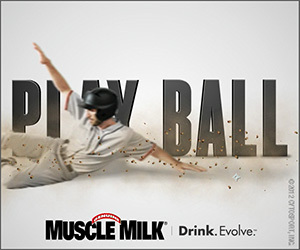 The clip at left shows all three concepts, while below you can see a Flash version of “baseball”. I've included this animation in my portfolio because there are many cool elements, from the spinning "copy states" to the various glows and shines...this one has it all. An interesting feature is that Zambezi changed up the states to fit the aspect ratio of the banner, so everything fits nicely. Take a look! 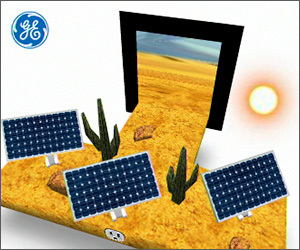 I‘ve animated a number of banners for GE & BBDO, but this is one of my favorites. 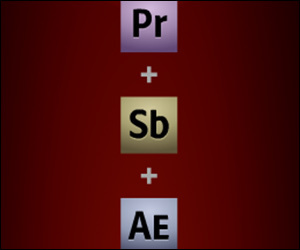 At only 30k, it packs in a lot of animation and interactivity into a small file size. Try rolling over the banner to make the wind turbines speed up! 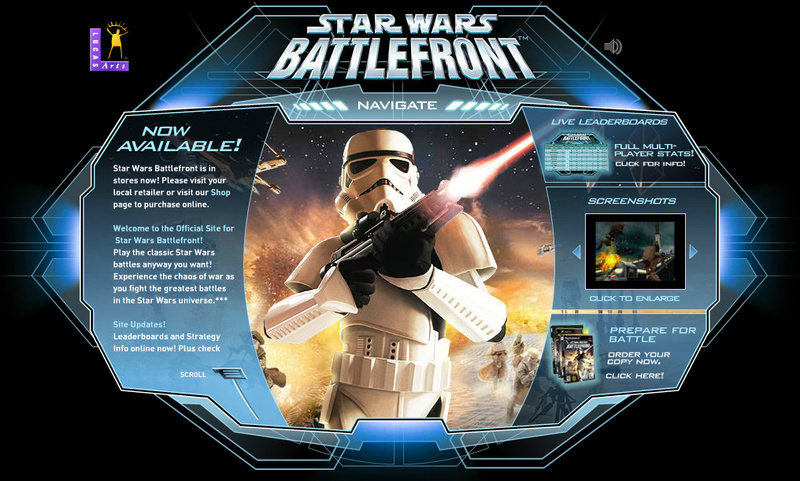 The natural extension of the concept above, this banner features actual 3d geometry and interaction. Utilizing PaperVision3d, a popular code extension for Flash back in the day, I built some simple 3d models, and then constructed a scene that the user could navigate with their mouse. If you angle the scene in a certain way, you even get to see specular highlights from the “sun” reflected off the solar panels. Never used in production, this was an experiment, but this type of banner is certainly possible with today’s WebGL features. 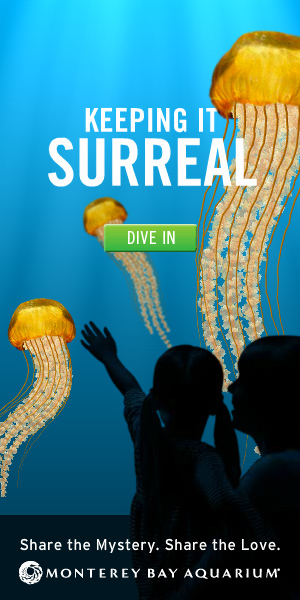 I love it when a brand takes a chance on some crazy interactive concepts. 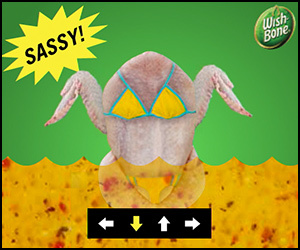 For “Marinade”, I was tasked with animating the raw chicken (in a bikini) as it soaked in Wishbone marinade. I developed four different dances for the chicken to do, from a single image of the chicken, and all code-driven. Give it a try yourself at the link below! 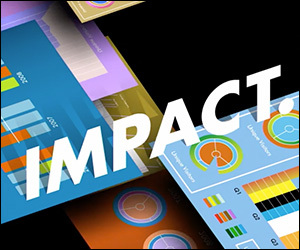 This campaign was an exercise in file size management. With only 40k available, I had to come up with innovative ways to reduce the size of the images. For instance, there is only one cloud image used (and simply repeated / rotated / scaled). The Taj Mahal has it’s twin towers reused on both sides. And the end frame featuring the flight crew is one image masked into 5 inside of Flash. And to top it all off, I created the lens flare as a vector graphic. These two concepts were not only fun to do, but still interesting to watch. 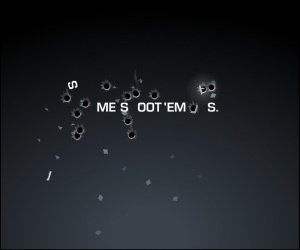 For “Shoot ‘em up”, I keyframed each letter blowing up in a unique way, as the file size prevented using an external physics code. Each time the banner randomly chooses the bullet hole locations, and if one hits a letter, the letter reacts accordingly. For “Centipede”, I worked up an insect design in Photoshop, with repeating body sections that would simply be duplicated in Flash to keep file size in check. Then I coded a simple chain that made each body part follow the one ahead of it. Adding moving antennae and tail parts put the finishing touch on this animation. 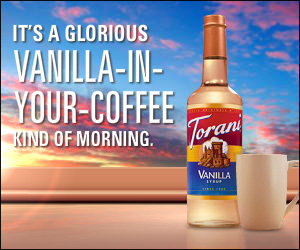 This campaign actually got me adding Torani Vanilla syrup to my coffee (don't add too much, btw!). This concept is only 40k but has interactivity and a beautiful ending. There were a number of concepts and resizes similar to this, but this is one of my favorites. This rich media unit “connects” two separate banners in the page, making them seem like one unit. For the pouring liquid I used a liquid simulation software called RealFlow, and rendered it in Vray for Maya. 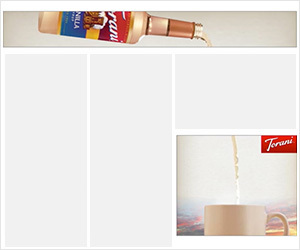 When the large bottle travels from the top banner to the lower banner, it certainly gets your attention – but these are just two banners with near perfect timing, which creates the illusion of connected worlds. I worked with Mullen Lowe to develop this expandable rich media, which launches out of a 300x600 unit. And while this seems like a bunch of separate videos, it’s actually one large video – the square you mouse over turns transparent, allowing you to see through the mask to the video playing. It’s these types of optimizations that I help create, in order to make the concept work as the art directors intended. Click or tap anywhere outside the banner to close.